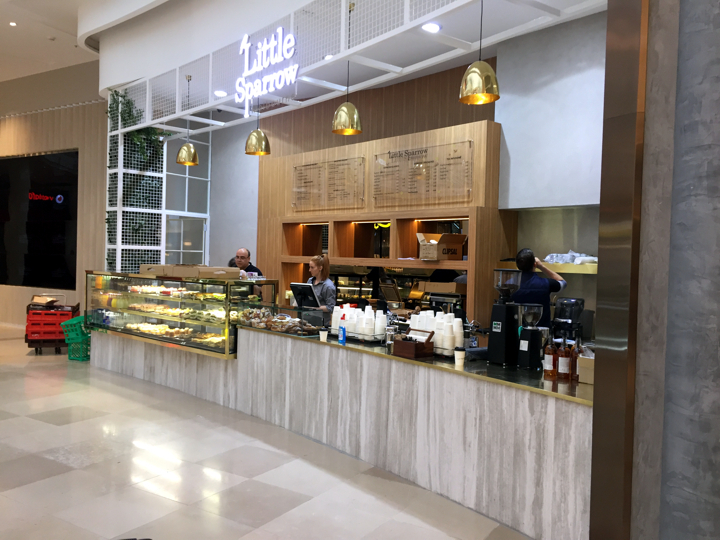 Little Sparrow is a cafe at Chadstone shopping centre which has a smaller outlet called Little Sparrow Express. We supplied the white metal shopfront for express. The café has a bird shaped ceiling feature. It is made up of folded metal pieces which were manufactured by the metal fabrication team at O.M.A. as well as the shopfront and stainless steel components in the kitchen area.